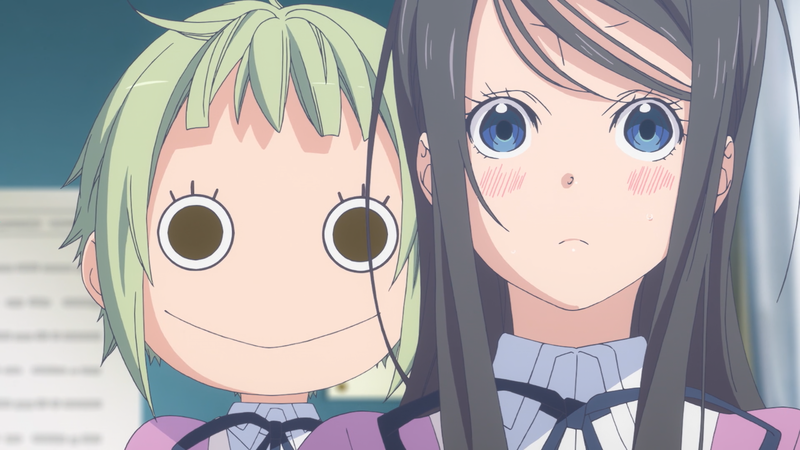 Welcome to the first episode of Diving Witch Amanchu! We’re going with a 1080p release because the show was mastered at that resolution. More pixels means more fun, and we’ll have a lot of fun this season. Endless fun, one might say. Aka: Original TL, just like most of Flying Witch. I want to make it very clear right now that I love Kozue Amano’s works, Aria and Amanchu at the very least, and we will put in all of our effort to bring you the best subs possible. The will also be the weebest subs possible. You’ve been warned. Weeb away I say! I also love Amano’s Aria and Amanchu and have been looking forward to Asenshi’s release of the series from the moment I heard it was coming out. Really chill first ep. Thanks! They should make Pikari an UNESCO World Heritage Site. She’s a treasure. Since I tend to use subs only as a guide for lines I don’t understand, weeb subs are always my go-to option. Thanks a lot, you guys are the best. NEVER GIVE UP! Will you guys do a flying witch batch? How can you tell what resolution a series is mastered at? It would be useful to know which shows to grab in 1080p each season.